“Assisting the American Dream” One family...One home at a time! 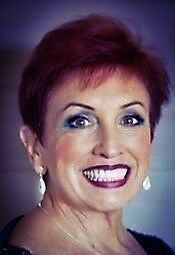 My name is Mellina LaRocca and I have been personally involved in real estate and corporate business for nearly 40 years. During the last 16 years however, I have worked professionally as a Realtor for Better Homes and Gardens Real Estate, Reliance Partners mainly by referral. I represent both buyers and sellers in various parts of Alameda and Santa Clara County and I am highly-regarded by my team and colleagues. My specialties include residential homes, investors, relocation services and fine homes. In 2017, I proudly served as President of "The Women's Council of Realtors, Tri-Cities Network" and cherish working with a number of charitable organizations. My caring nature, continuous education and attention to detail, will always give you a high level of knowledge, professionalism and personal commitment. I find it extremely satisfying helping you accomplish your goals and realizing your dreams. When I'm not working, I love traveling and experiencing different cultures, gardening, going to the beach and simply enjoy spending time with my family and friends!